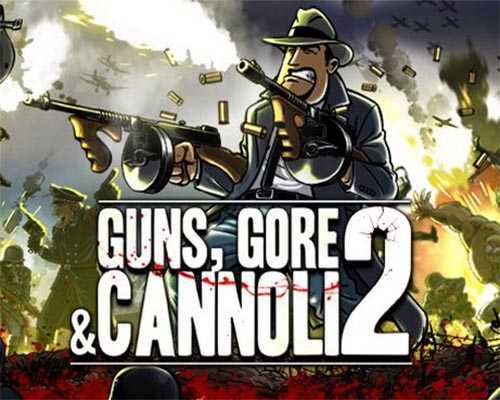 Guns Gore and Cannoli 2 is an Action, Platformer and Arcade game for PC published by Crazy Monkey Studios in 2018. Get ready to destroy! You will have different kinds of weapons that you can use them to face enemies. Hundreds of enemies need to be killed by you! Welcome to the 1940’s. Europe is being torn apart by the war, the USA is preparing for battle and the mob does business as usual. Only this time they went too far, even for Vinnie’s standards. Prepare yourself to go to war after you make a shocking discovery about what actually happened during the end-stage of the Thugtown Massacre from Guns Gore & Cannoli 1. Campaign mode: Guns Gore & Cannoli 2 features a full single or multiplayer campaign mode, packed with action, humor and animated cutscenes. Immersive world and period: Walk around in the European battlefields of World War 2. Every level of Guns Gore & Cannoli breathes the 1940’s. Every inch of the game is like a picture straight from the second World War era. The cars, the furniture, the speakeasy clubs, the music, the propaganda posters, the streets and the weaponry reflect the turbulent time that the 1940’s were. 0 Comments ON " Guns Gore and Cannoli 2 Free Download "